WASHINGTON — President Trump has pushed his aides for months to restart the practice of routinely separating immigrant parents from their children to try and deter Central American migrants from showing up at the southwestern border, officials said on Monday. Three senior administration officials with knowledge of the president’s conversations confirmed Mr. Trump’s renewed push. The president was pressing to restart the separation policy at a time when he was increasingly dissatisfied with Kirstjen Nielsen, the Homeland Security secretary, who resigned on Sunday. The push is among a slew of hard-line policies that officials said Mr. Trump may consider after his purge of top immigration and security aides. At least five Department of Homeland Security officials — including Ms. Nielsen, and perhaps more — are expected to step down in coming days. The changes suggest the White House may also be considering a new crackdown on asylum seekers and closing the United States border with Mexico. Ms. Nielsen was the head of the department during the Trump administration’s “zero tolerance” policy last year that led to the separation of thousands of families. Last summer, Mr. Trump grudgingly signed an executive order ending widespread family separations after fierce criticism of the policy, which led several thousand children to be taken from their parents, who were detained for illegally entering the United States. Ms. Nielsen’s disagreement with the president’s desire to restart separations, fueled by her concerns about the policy’s legality, was the latest example of Mr. Trump becoming frustrated with her because he felt she was too willing to operate within the legal boundaries of the immigration system he wants to revamp. One of the officials said the president made clear to aides that he liked Ms. Nielsen personally but was critical of her job performance. All three officials spoke about the internal discussions on the condition of anonymity. More than 2,700 children were separated from their parents at the border under the zero-tolerance policy of prosecuting anyone caught crossing the border illegally, even those with families seeking asylum on humanitarian grounds. As of December, the department had identified 2,737 children who were separated from their parents under the policy and required to be reunified by a federal court order issued in June 2018. 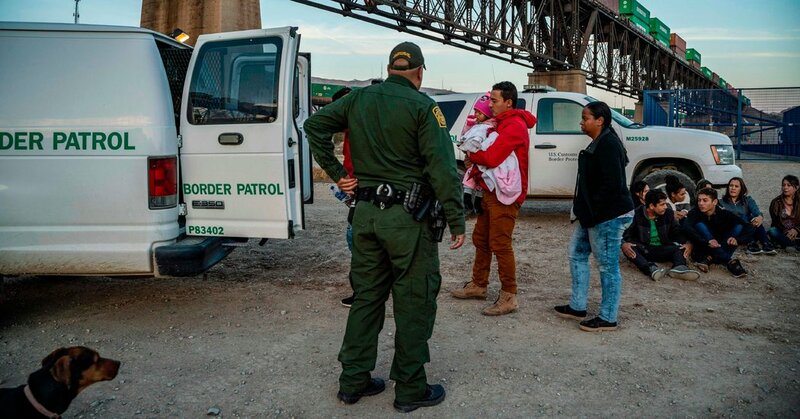 Carrying out Mr. Trump’s policy of prosecuting all adults crossing the border meant that children traveling with parents were separated by the Department of Homeland Security. The children were sent to licensed facilities while trying to place them with a relative, because a previous court settlement had restricted the detention of children. The Department of Homeland Security struggled to track families and their children after the policy was put in place last spring — and did not create a comprehensive family reunification policy until a federal judge intervened.